Premium Jane’s Natural CBD Oil is a full-spectrum CBD oil tincture for those who prefer the earthy undertones of 100% natural hemp, without any added flavors. Buy this CBD tincture today and get the relief you need. · Nausea: CBD oil is great for reducing the feeling of nausea and vomiting, which can happen as a symptom of most of gastrointestinal disorders, as well as other more serious systemic diseases. CBD oil can be of great use when going through chemotherapy or radiotherapy during cancer treatment for this reason. This is because it can lower the rate of occurrence of uncomfortable side effects such as vomiting. · Great antioxidant: This is one frequently overlooked purpose of CBD oil. Most diseases are by-products of oxygenation in our bodies’ cells. Aging is also brought about by the oxygenation of skin cells. CBD oils, however, act as antioxidants to effectively reverse the aging process, keeping your cells healthy and vibrant, leading to a younger-looking skin. · Insomnia: Should you be having trouble sleeping at night, this Natural CBD Tincture is the answer for you. With its brain calming effects, it is able to soothe and relax you into a peaceful sleep. The CBD oil is also used to soothe headaches or other types of pains which may hinder your sleep. In short, this is a one-stop shop for all your sleep needs. · Arthritis: Arthritis is a result of severe inflammation in the joints. As proven by research, CBD oil is one of the best anti-inflammatory agents one can consume. · Post-traumatic stress disorder: Post-traumatic stress disorder is basically a psychiatric illness which affects victims who have experienced a traumatic event; can be wars, accidents, calamities, and so on. CBD helps greatly in reducing the debilitating symptoms of PTSD. · Inflammation: CBD has been proven to have anti-inflammatory effects in numerous studies. It engages with the endocannabinoid system throughout the body, reducing inflammation systemically. The therapeutic potential it possesses is impressively a wide list, since inflammation is actually involved in a broad variety of diseases. · Anxiety: CBD has been proven to reduce anxiety in patients with social anxiety disorder (SAD). Researchers suggest that it may also be effective for obsessive compulsive disorder, panic disorder, and PTSD. Effects: The natural hemp CBD oil tincture is very effective in dealing with a number of illnesses one faces. It also deals with those ailments within a very short period of time. CBD tincture effects including silencing pain, headaches, and other conditions. 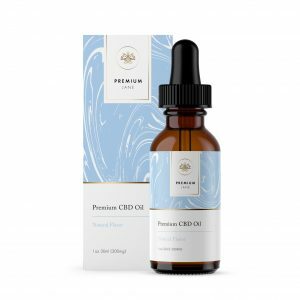 Price– if you want to look for a full spectrum CBD oil for sale, just go to Premium Jane website and buy this pure CBD tincture online. The price varies depending on the amount you want – 300mg CBD tincture goes for only $54. The 600mg CBD tincture and 1000mg CBD tinctures are $95 and $139 respectively. You can also check on other third party sites which offer coupons and other deals. Final thoughts: This natural CBD oil tincture from Premium Jane is a very effective product in the CBD oil family. Its natural taste just gives consumers the taste of their money, as you get up to 40 drops.